Scientists at the University of Minnesota have asked state lawmakers for almost $2 million to create a new test for chronic wasting disease, or CWD. 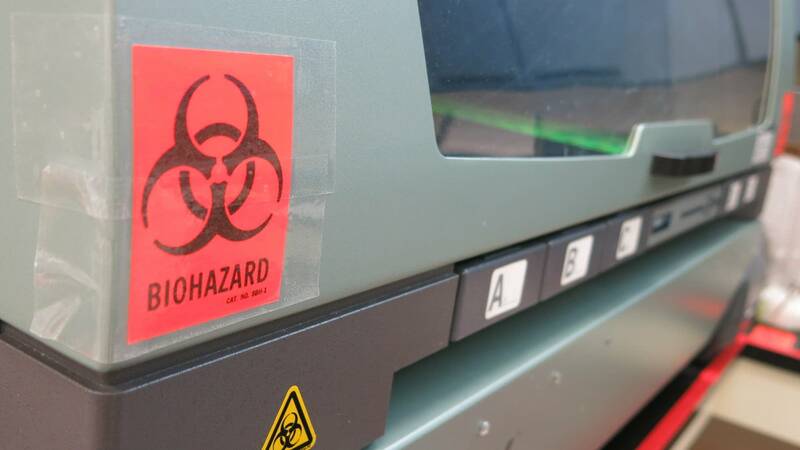 Current testing methods for CWD — the always fatal infection recently found in the wild deer herds of southeastern Minnesota — is laborious. But the new testing methods could be a gamechanger: It would be much faster than the current one, and more crucially, it could be done on living deer. Jeremy Schefers runs CWD testing at the University of Minnesota where the two-week, 40-step process begins in a basement lab. "This is the veterinary diagnostic lab," he says. "We get every species of animal, except humans. Out in the middle of a concrete floor is a very large, very dead horse. It's being autopsied. This is totally normal, apparently. Schefers doesn't even mention the horse. Instead he pulls a pair of severed deer heads out of a black plastic bag. "It is one of the coldest days of the year, and the heads are frozen," he said. Once the heads thaw, in two or three days, he'll surgically remove pieces of the brain and lymph nodes. "And they have to sit in formaldehyde for five days," he explained. "And you can't rush that process either." Then he'll dehydrate them with alcohol, saturate them with paraffin wax, and shave off slivers just five microns thick. "That's the width of a red blood cell," he said. 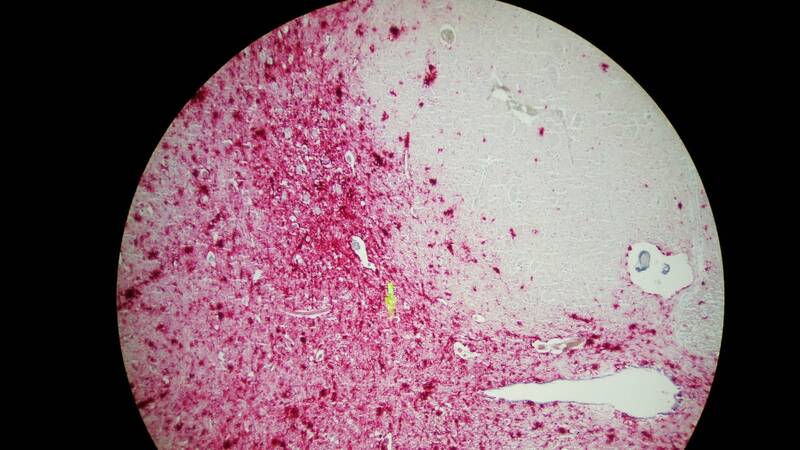 They'll be run through a bath of red dye, which only sticks to the misfolded proteins, called prions, that cause CWD. 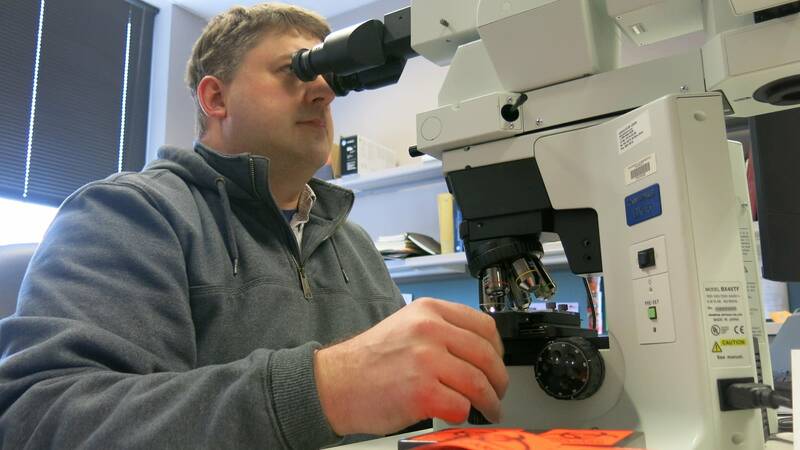 And finally, two weeks after a deer head arrives at the U of M, Schefers squints through a microscope in his office for hour after hour, looking for traces of the disease. Schefers admits to eyestrain — "and a chronic headache and lower backache." But that's not his biggest concern. "What I find even more maddening is I've been doing this for 10 years and all I've done is watch CWD march across North America, with kind of a helpless feeling," he said. "There's a better way to do this. This is just borderline ridiculous," he said. And now, it seems, there really could be a better way. On the same campus, research professor Peter Larsen is assembling a team that hopes to create a totally new test — a faster one, which could put wildlife managers in a position to get ahead of the disease, instead of just reacting to it. 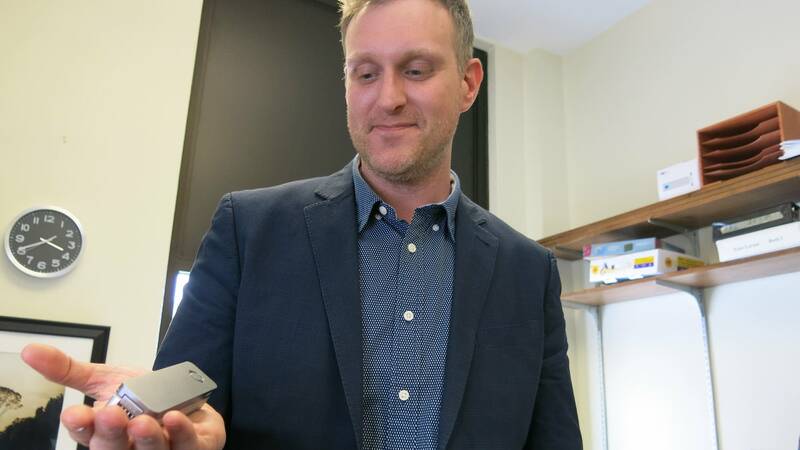 Larsen wants to ditch the formaldehyde and red dye and use a hand-held device called a flow cell. "Think of an iPhone and on one end, you have the camera" he said. "With a flow cell, you would take your biological sample and you would put a drop of it on that camera lens. And then the device will take that drop and circulate it throughout the environment we are going to create, and by the time it gets to the other end of the phone you will have your answer." Flow cells are being used to research Alzheimer's and Parkinson's disease in humans. But a similar machine could be modified to incubate those misfolded CWD prions, then detect them using nanotechnology. The test would take maybe an hour or two, instead of two weeks. And it wouldn't require pieces of brain. Just some urine, or saliva, or even deer droppings — all easy to collect from living deer. The scientists' funding request has just gone to the Minnesota Legislature. If Larsen's team gets the money, he says it hopes to create a working prototype in about two years. It's hard to oversell just how important this test could be. Right now, Larsen said, the Department of Natural Resources doesn't actually have a very good idea of where CWD is, geographically, because of the testing lag time and the reality that deer are always moving. CWD containment efforts are often based on where infected animals have been shot during hunting season. Larson said that's for too inexact to be effective. "They look at the nearest case that's confirmed. And they say, 'OK, that's where it is.' That's not where it is. That's where it was," Larsen said. Deer can be infected for two years before the disease kills them. That whole time, they're shedding proteins that can infect others. 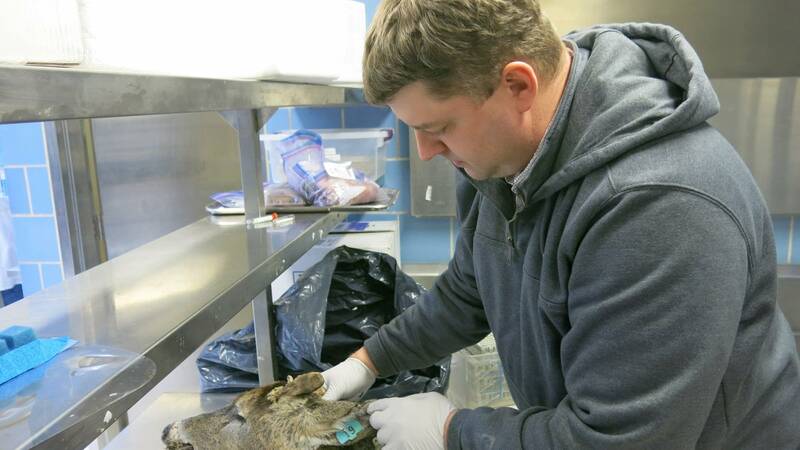 Even if the DNR knows where a sick animal died, they don't know where it's been. With the new test, Larsen said, DNR researchers could reasonably hike through vast swaths of land, taking hundreds of samples of deer droppings and even antler velvet, and test them on the spot. "It can provide real time surveillance, and that's critical," Larsen said. "I call it the CWD battlefield, and anyone with a military background will tell you, you have to have an understanding of what that front line looks like. And right now, we don't know that."